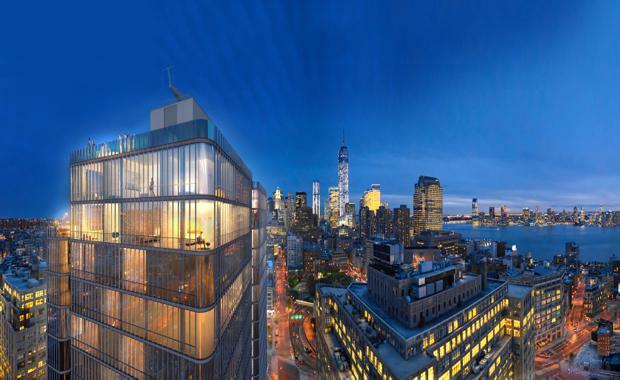 The Renzo Piano Building Workshop has unveiled new images of its latest project in New York City's Soho neighbourhood. building will comprise 115 apartments, a fitness centre, swimming pool and automated parking. Located on the western edge of Soho between Broome and Watts Street, Soho Tower extends the pedestrian neighbourhood with new street level commercial spaces on a once vacant site. From the tower above residents will have expansive views from the city to the Hudson River.